Certain school subjects have a way of being difficult to capture the interest of many students. There are always a few history buffs or literature aficionados, but most students tend to zone out during less thrilling subjects. Social studies falls into the boring category, but with these five kid friendly social studies tips, the kids will be craving more. The world is a visual place and children love to see the experience. Simply sliding images by them on a screen does not allow them to engage with the lesson. Instead, have the student's draw what they imagine happened. Allow time for the students to discuss their drawings with each other. 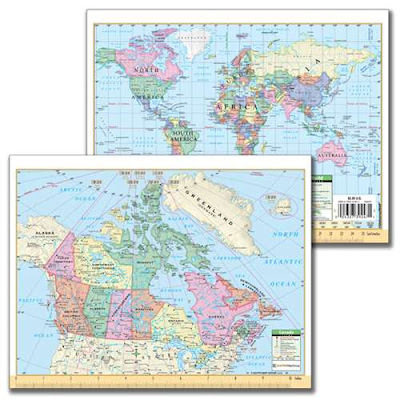 Products like our map and notebook combinations provide students with a chance to take an in depth look at the world and to record their own findings. Children are active as a natural part of development. It is hard to learn when you have been sitting still for some time. Get the kids up and moving. Have them act out in drama form the main theme of a lesson. Perhaps designing a physical game of major wars will help kids remember the influential people involved. The Replogle Globes Rotating Globe for Kids is a great option for hands on learning, with over 100 illustrations of people, landmarks and animals. 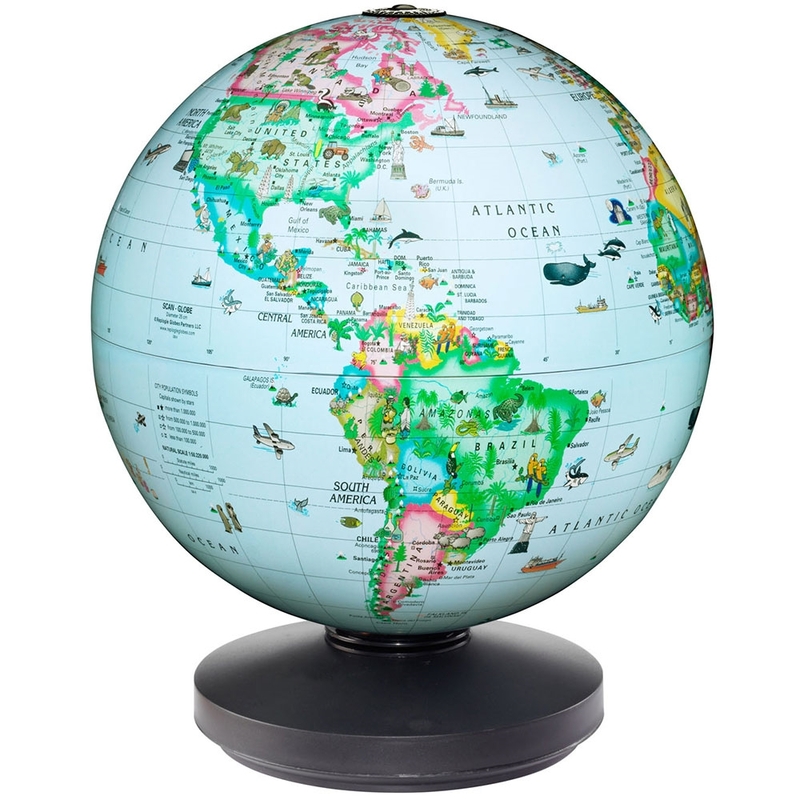 This fun and colorful globe is an excellent addition to any home or classroom. This globe is designed with a child's creative imagination in mind, over 100 illustrations of people, well known places and animals in their natural habitat adorned this globe. A rotation feature and internal LED make this colorful, fun globe even more versatile. Highlighting students that excel in subjects can help the others engage as they see a few of their own leading a lesson. Breaking them into smaller groups and letting the leaders teach a few classmates is a great way to build community in a class and let the creativity pour out. If you have been working to spice up the social studies learning experience but are still seeing blank stares, do not be afraid to adapt and change things up. Ask the students what or how they would like learn, you may be surprised at the results. There are so many different ways that social studies can be practically applied to the world around us, encourage students to use their imagination and apply maps skills, to everyday tasks like planning a trip to the grocery story. Taking a family vacation or finding a new place they want to visit. Writers and movers can lead creative lessons by writing lyrics of the lessons main themes or developing choreography to aid in a visual element. Rapping about the state capitols or dancing to short phrases of a few countries will stick with kids into adulthood. Dreading social studies not be the norm. Use these five tips and apply them to your children's or student's learning experience. Each tip can be adapted for any subject as well, making school and learning an adventure for all. Ultimate Globes has many products that help enhance your children's social studies learning experience, contact us today to hear more.